Ian David Blackwell (born 10 June 1978, Chesterfield, Derbyshire, England) is a retired English cricketer. A left-arm orthodox spinner and powerful middle-order batsman, he played for England in one-day and Test sides, and most recently played county cricket for Warwickshire in the second half of the 2012 season. 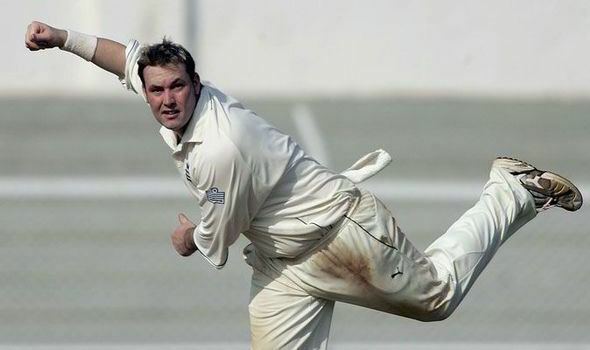 He started off his career at Derbyshire, before moving to Somerset in 2000 following a dispute with Derbyshire captain Dominic Cork. He was appointed captain of Somerset for the last part of the 2005 season after the departure of Graeme Smith. Having been appointed official captain for 2006, he had shoulder surgery and missed almost all of the season. After the 2008 season, Blackwell left Somerset and joined Durham. Also a factor in his departure from Somerset was Blackwell's struggles with fitness and disagreements with the captain, Justin Langer. Despite having struggled with his fitness, Blackwell managed to lose 10 kg (22 lb) over the winter. 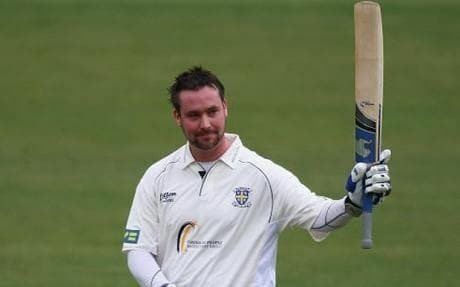 On his first-class debut for Durham, in the opening match of the 2009 English season, Blackwell scored a century against the Marylebone Cricket Club, featuring a bowling line up including England hopefuls Sajid Mahmood, Kabir Ali, Tim Bresnan, and Adil Rashid. 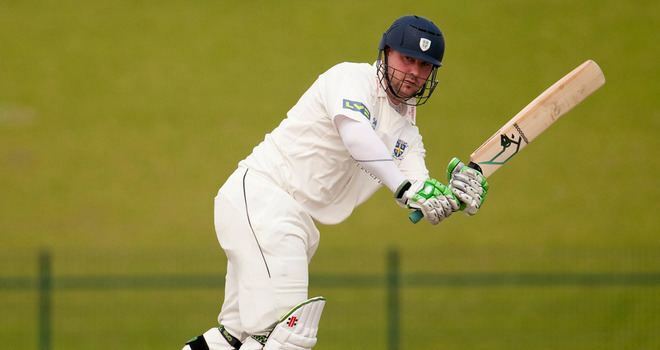 Entering the 2012 season, having been afflicted by a second shoulder operation, Blackwell played few matches in the first half of the season for Durham. The county then agreed to loan him from August to Warwickshire, who required coverage for the four-week absence of spinner Jeetan Patel. In March 2013, Durham announced the termination of Blackwell's contract and his immediate retirement form professional cricket. After a third shoulder operation over the winter, Blackwell had been diagnosed with arthritis in his left shoulder. 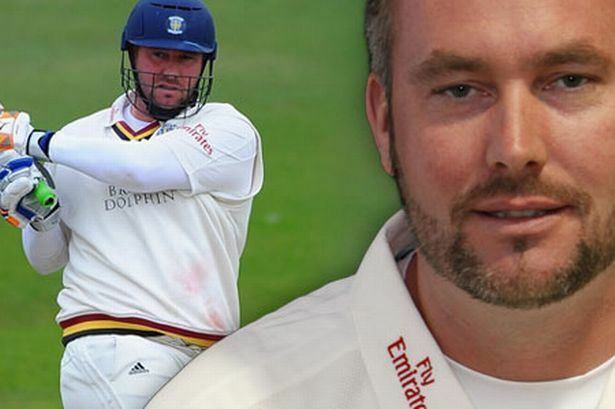 In December 2014 Blackwell was added to ECB's reserve list of first-class umpires. 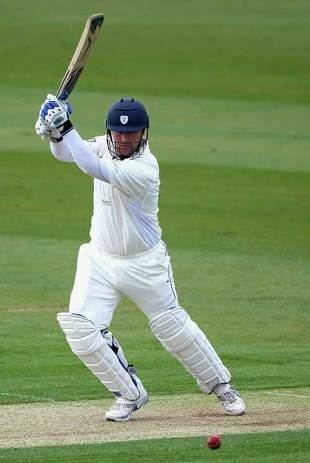 Blackwell was called up for the England Test squad after Ashley Giles had to withdraw from the 2006 tour to India. After impressing in warm-up matches, he was selected for the 1st Test against India on 1 March in Nagpur. However, he was not frequently used by captain Andrew Flintoff, only bowling six fairly expensive overs in the first Indian innings, in comparison to fellow left arm spinner Monty Panesar's 42 overs. In the second Indian innings, Blackwell was initially more economical but as India went on an audacious chase of the huge total set to them by England, he was brought on to prevent the batsmen from scoring quickly, but conceded 18 runs in his first over. This came after a nervous innings of only 4 in his only opportunity with the bat, and Blackwell was subsequently dropped for the second Test, replaced by Liam Plunkett. Blackwell remained first choice spinner for the ODI series however. Although England lost the series 5–1, Blackwell's performances were encouraging and seemed to indicate he was ready to hold down a regular place in the side. Ten overs in the first ODI went for just 24 runs at the same time as picking up one wicket, his cheapest ever spell in an ODI, while he also picked up figures of 2–39 and 2–21. Blackwell looked set to make another Test match appearance against Sri Lanka, but suffered a shoulder injury which derailed his season. As a consequence he was replaced as spinner in England's ODI side, and was subsequently overlooked by the selectors.